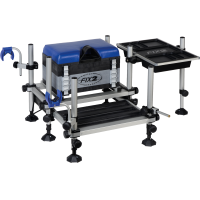 Complete ready made fish station with plastic bottom tray and extendable footrest. This station is equipped with a standard module, a sliding drawers and a drawer rig with 19 racks. 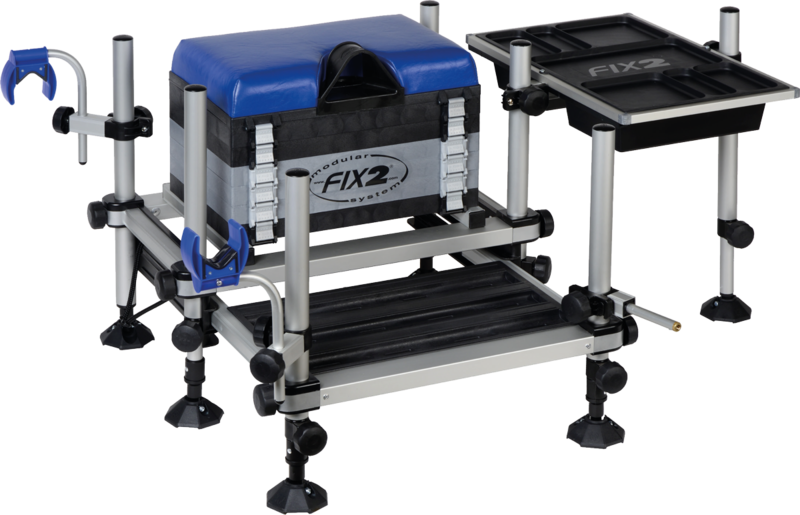 There are two dynamic rod holders, a keepnet support and a multi-store table with 2 pull-out trays. This station also has a pole grip cushion. The two front legs are telescopic, all six legs have pivoting mud feet. It is made in a combination of plastic and aluminum parts, light in weight and can be further extended.